"I'm having a blast," Bellinger said. "I think what really tops it off is how well we're playing as a team. It's fun to watch. It's fun to be around. We're just clicking on all cylinders." 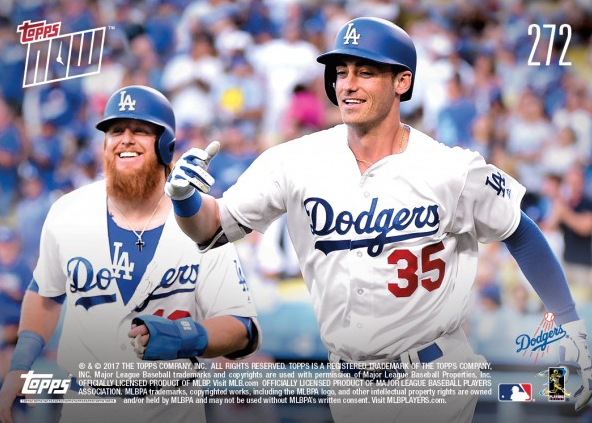 Go here to check out and order the Cody Bellinger Card. 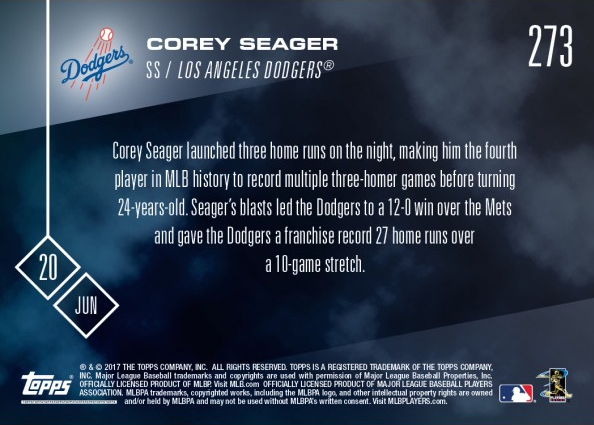 Corey Seager launched three home runs on the night, making him the fourth player in MLB history to record multiple three-homer games before turning 24-years-old. Seager's blast led the Dodgers to a 12-0 won over the Mets and gave the Dodgers a franchise record 27 home runs over a 10-game stretch. 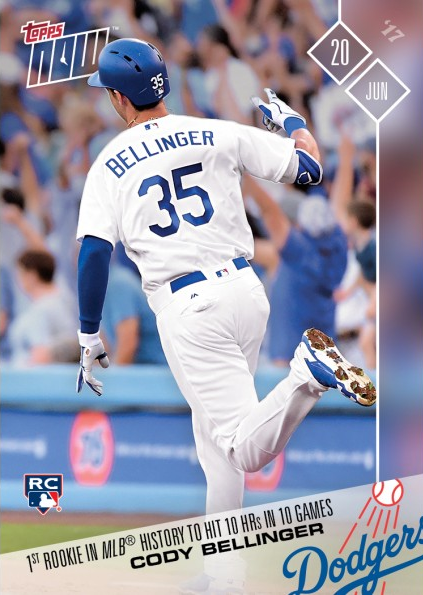 UPDATE: the total print run for the above Bellinger card is 2,257 copies. 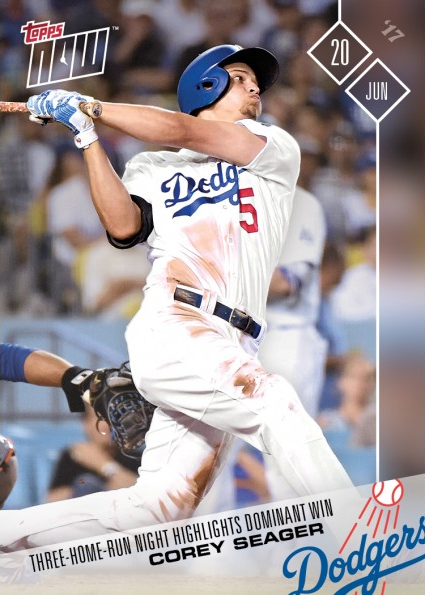 The Seager card has 579 copies.